Get ready to burn some rubber! 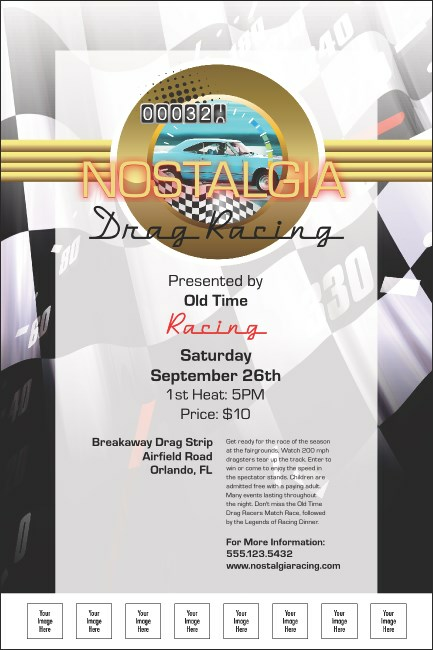 Watch your interest in your event take off with the Drag Racing Poster! Great for classic car shows and events, the poster template features bold racing images that are meant to raise your guests enthusiasm. With room for eight custom image uploads, you can promote your sponsors, drivers or performers. Looking for adventure? TicketPrinting.com offers a full range of design options!